Words by Aida Abbashar, photography by Ro Murphy. 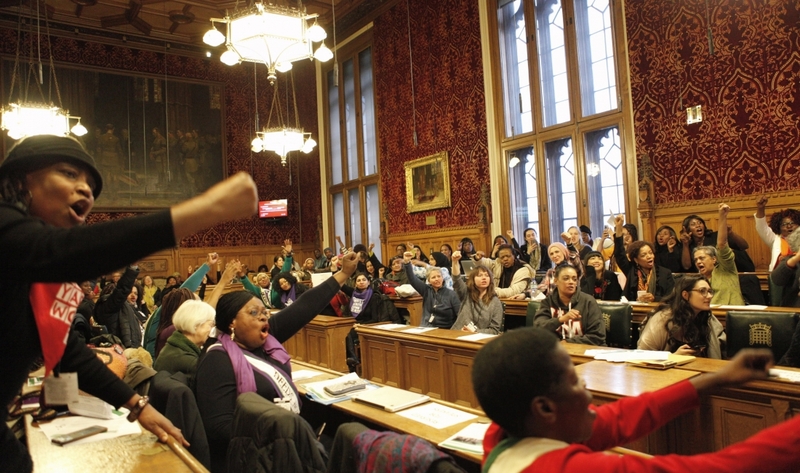 This International Women’s Day, over 200 refugee and migrant women went to Parliament to demand their rights to safety, liberty and dignity. We listened to each other’s experiences, called on our MPs to act, and we celebrated the strength and bravery of refugee and migrant women. 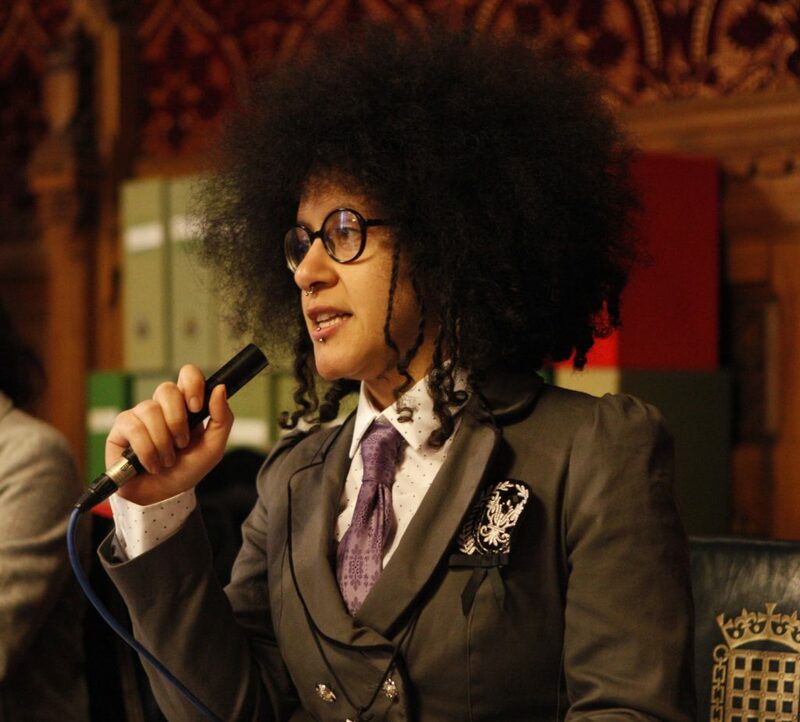 Dr Shola Mos-Shogbamimu chaired the event comprised of a full line-up of courageous women with refugee and migrant backgrounds who directly addressed MPs with their stories of traumatising months in Yarl’s Wood detention centre; becoming vulnerable to violence because of destitution; separation from their families and the human cost of hostile immigration policies. The room buzzed with energy as the voices of women who are too often silenced echoed around the halls of power. ‘We wish we could be celebrating with you on this day, but we are not free to do so.’ The women on hunger strike in Yarl’s Wood sent us a powerful statement to share at the lobby (published in full here). Agnes from Hope Projects in Birmingham said, ‘We are all looking for safety, freedom, peaceful life, better life, protection, security.’ Refugee and migrant women need dignity. Maya Ghazal, a Syrian refugee, spoke about the vital importance of family reunion for women seeking safety. 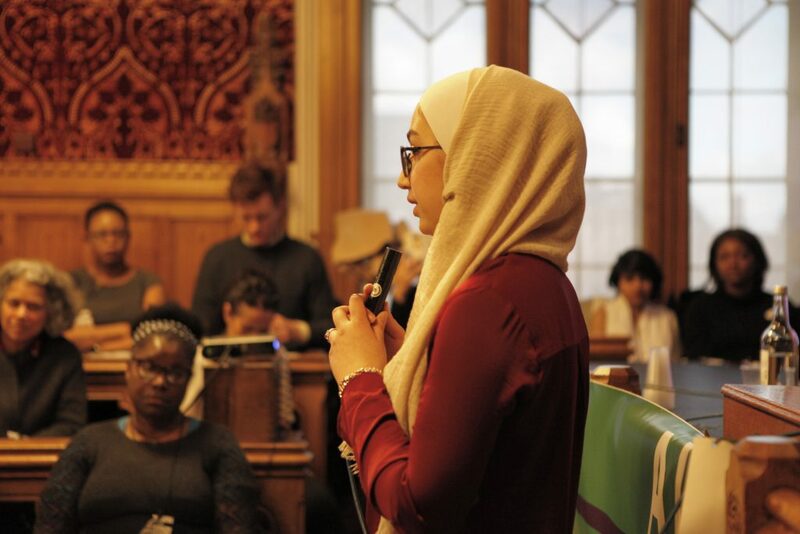 There is an opportunity for members of Parliament to vote on an improved family reunion process on 16 March, so refugee women took the opportunity to call on their MPs to act and create safer routes for women to be reunited with their families. Women from Safety4Sisters, Southall Black Sisters and Latin American Women’s Rights Service called for safe reporting mechanisms for women with insecure immigration status who suffer abuse and violence. They described how they have been failed while looking for safety and justice: “The police told me – you are illegal so we can’t do anything for you. When you are in my situation you are invisible, you are nobody and have no rights,” said a speaker from Southall Black Sisters. ‘A migrant woman like me needs to be believed by the police. My rights are above the passport I hold,’ G from LAWRS, said, sometimes overcome with emotion as she remembered her own struggle for safety. To be part of an event led entirely by refugee and migrant women was empowering for all the women there. “Before, I felt like I was in prison, and the women threw open the doors for me today,” said one woman from Southall Black Sisters. The lobby ended with a performance from WAST Manchester and cries for Yarl’s Wood detention centre to be shut down. 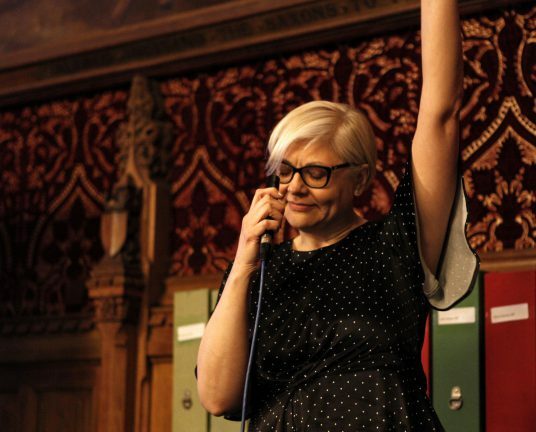 We chanted ‘All Women Count’ and our voices echoed through Parliament. 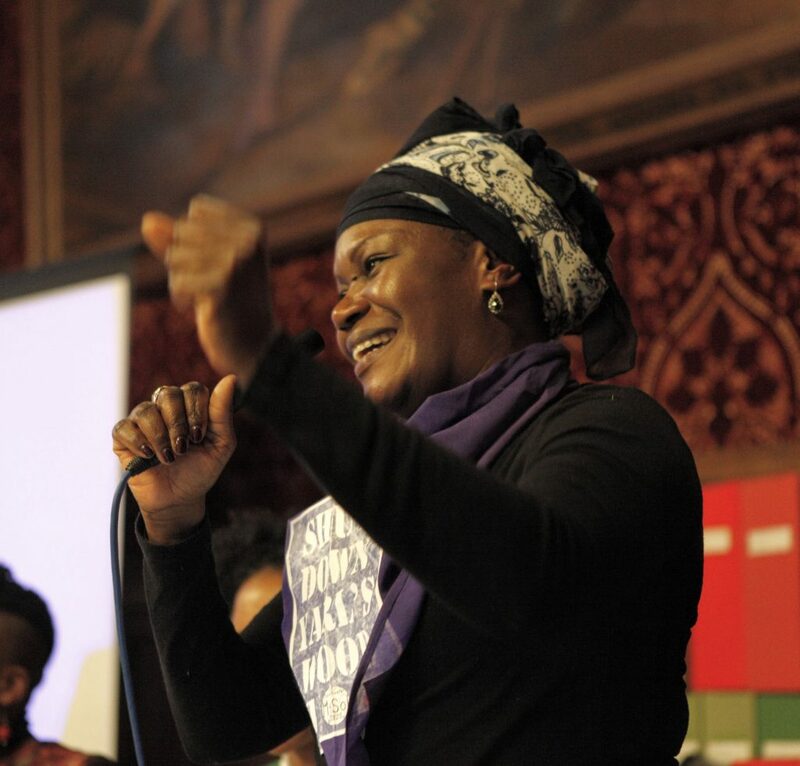 The All Women Count lobby is a great example of collaboration between refugee and migrant women, and it was supported by over 40 partner organisations, from large organisations such as UNHCR and Liberty to smaller grassroots groups such as Hope Projects and Coventry Asylum Seeker and Refugee Action Group. Top row from left: Baroness Lister, Shadow Home Secretary Diane Abbott, Baroness Jones, Vicky Foxcroft MP, Kate Green MP. 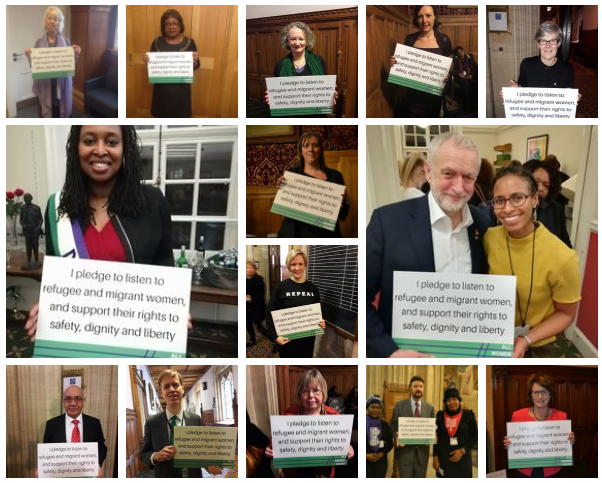 Middle row from left: Dawn Butler MP, Jess Phillips MP, Stella Creasy MP, Leader of the Labour Party Jeremy Corbyn with Marchu Girma. Bottom row from left: Virendra Shama MP, Stephen Timms MP, Liz Twist MP, Shadow Immigration Minister Afzal Khan with WAST Manchester, Louise Ellman MP.